The COMP 3.5 X Factor Long Arm System is the best performing trail suspension for JK owners looking to run 35" tall tires with stock fenders or up to 38" tall tires with flat fenders. 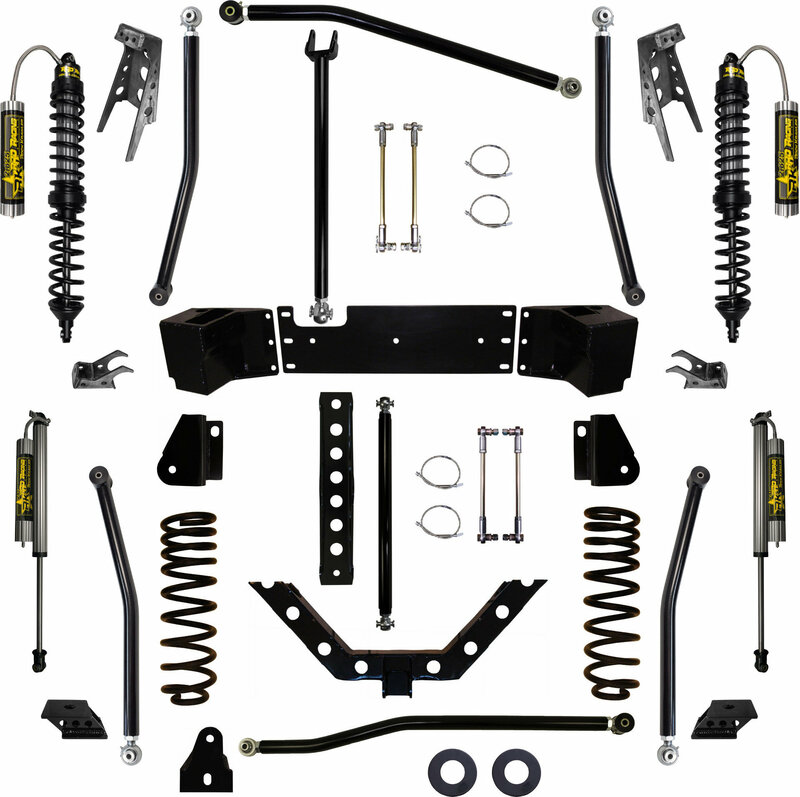 This system features the Rock Krawler Independent Three Link Conversion front and rear. The Independent Three Link's 100% bind free design has proven its self to be the best choice for those looking for maximum articulation while maintaining a factory like highway ride and tight handling.